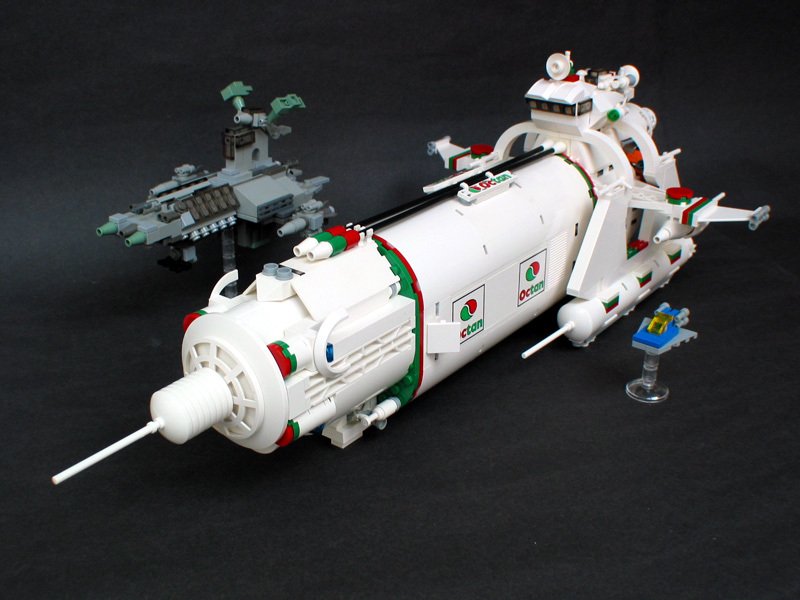 Why build microscale? 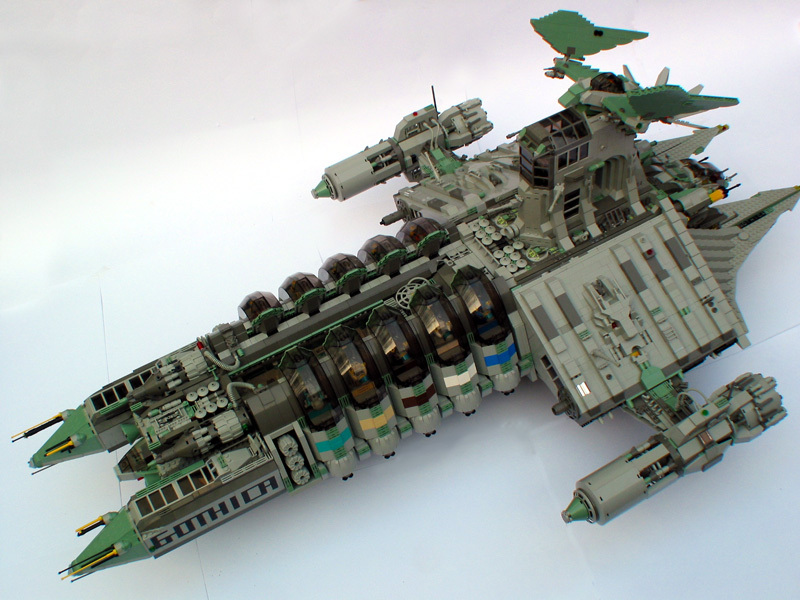 If you've been following this blog you've certainly seen some great micro MOCs, but what is the allure of this style of building rather than the more common minifig-scale? Several reasons are given below. What are your reasons for enjoying this scale? Anyone can play - Like vignettes, microscale is open to anyone. Some other themes are dominated by builders with huge collections; for instance, it's hard for a new builder to come up with an impressive fig-scale castle or a full train layout simply because they don't have the bricks. 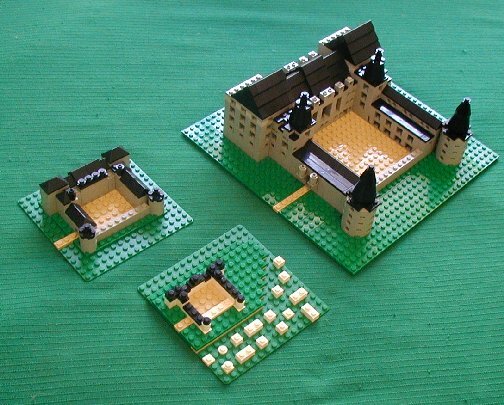 At microscale, however, with some creativity you can have a great MOC even with a very small collection. 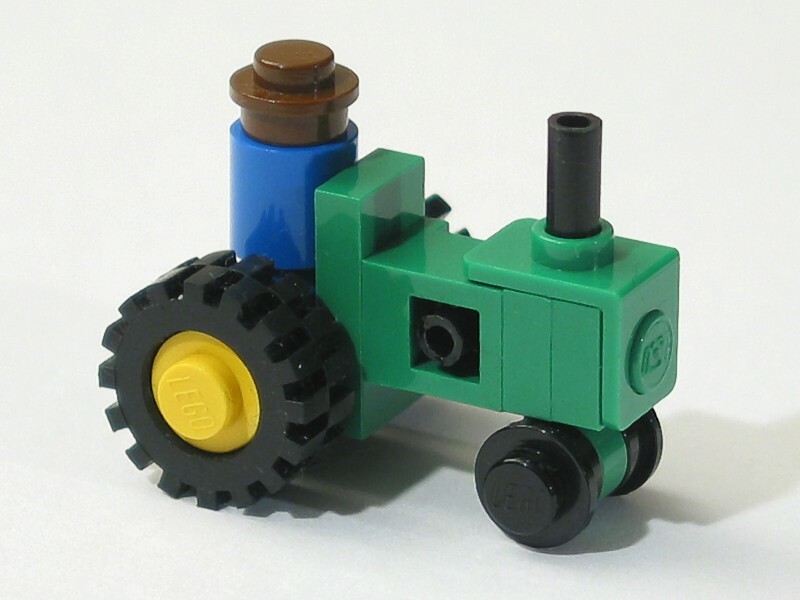 For instance, Jason Alleman's great tractor uses only 18 pieces. Impossibly large subject matter - Along the same lines, with microscale you can tackle projects that would be unmanageable even to those with huge collections, like the Death Star, the Titanic, the World Trade Center, Minas Tirith, or Ersh's model of Manhattan, a project that even Sean Kenney would balk at if forced to do at fig-scale. The cuteness factor - What's cuter? A chicken or a little chick? A cat or a kitten? 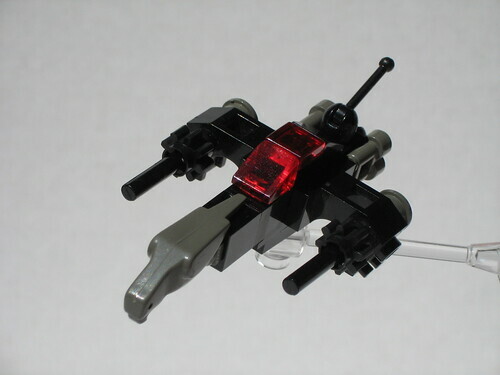 Mark Stafford's great Gothica or his microscale version. 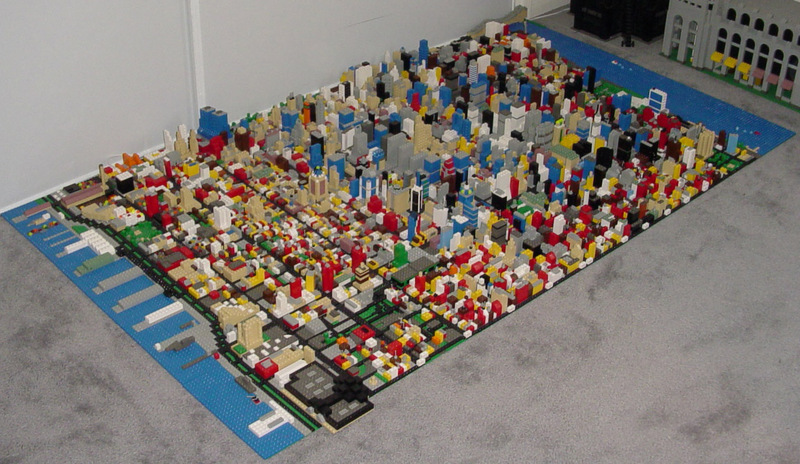 Flexibility - When you're building to the minifig, you're set in at one scale. Once you go smaller (or larger, but that would be another blog) you get infinite flexibility. For instance, I've seen great Millenium Falcons done at many different scales, which allows for new and clever solutions. Or here, for example, Don Bruce approaches the Chateau de Hautefort at three different scales. Imaginatve piece usage - Microscale encourages creativity, since you often take pieces like minifig utensils that were originally intended for one specific use and remake them into something new at a different scale. For example, the use of the hawk/parrot element and the binoculars in Dunechaser's Hawk 1. 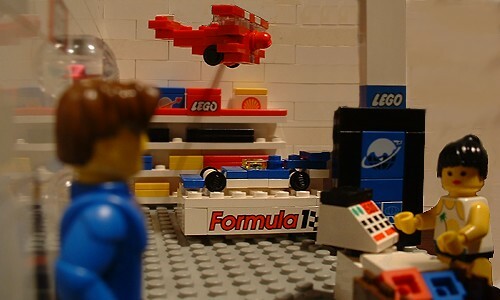 Forced perspective - Microscale can be used in conjunction with fig-scale to give the illusion of distance. 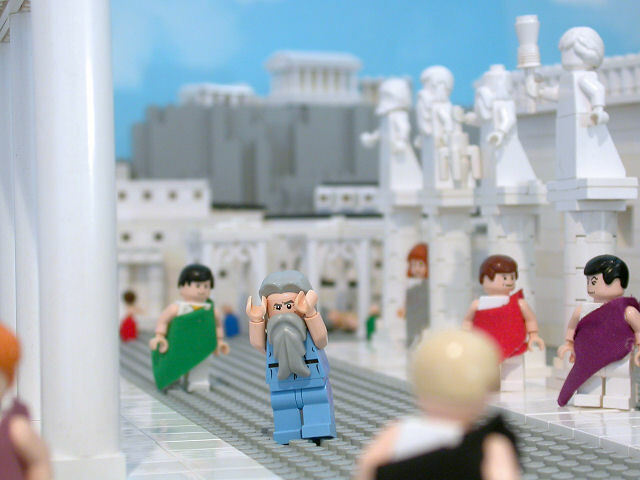 For example see the Parthenon in Brendan Powell Smith's Paul in Athens. Well put. That's all I have to say.